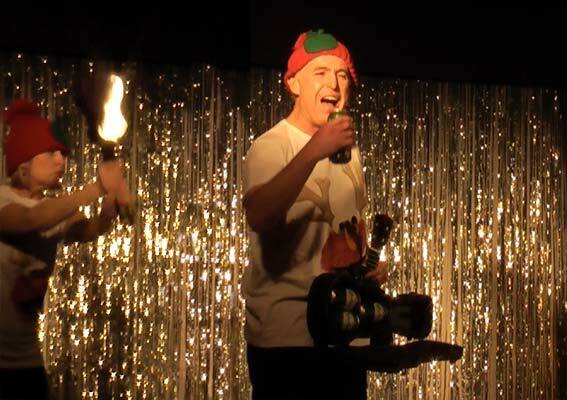 Pictures from the two night run of the Fabulous Farringdon Follies Company "Christmas Cracker" Cabaret held in the Village Hall on the 7th and 8th of December. Led by Mike Wallace the company launched into their opening number, "Wilkommen, bienvenue welcome." 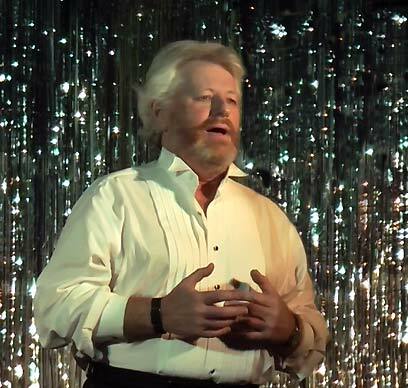 Unfortunately, the Follies regular compere was not able to perform at this year show so desperate measures were called for. A substitute was employed who proved to be a master of the Eric Morecambe method, all the right acts, but not, necessarily, in the right order . . . . The principals of the cast performed magnificently. 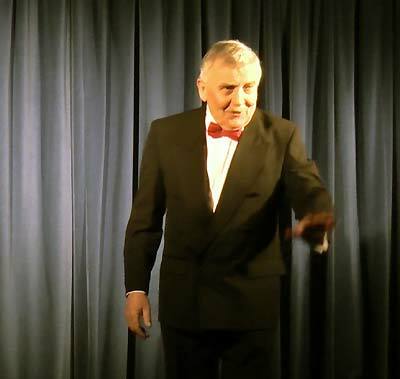 Vicky Jarman's version of "Songbird" set the show on a roll and from then on the audience settled down to enjoy the evenings entertainment. 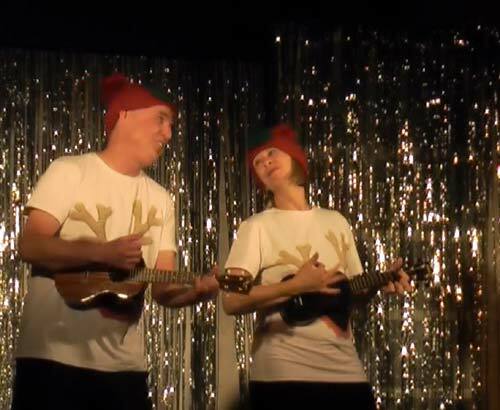 The Applejacks, Simon and Anita Applegarth, were wielding a pair of Ukuleles and very stylish headgear as they took the stage with their variations on a couple of George Formby numbers and ended in domestic discord. Only on stage of course. 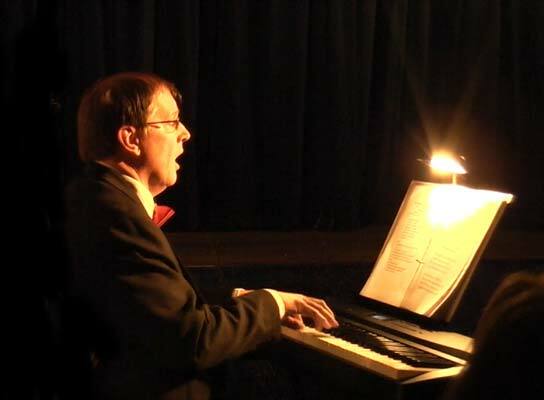 Mr William Godfree was next up with a romantic number, I Hold your hand in Mine, at least it would have been a romantic ballad had the hand in question still been attached to its owner, however this was only a warm up to Mr Godfree's rendition in the second half. 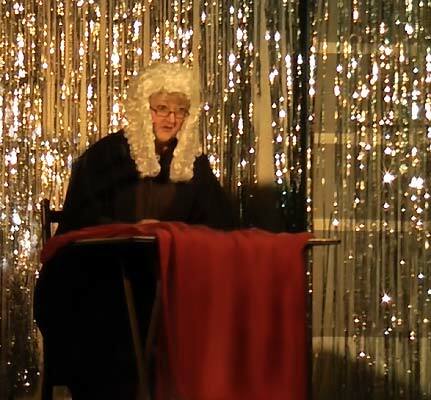 Next on, according to the programme was Justice Slightlybent, The Biased Judge, a cunningly disguised Marianne Prynne. This disguise gave the 'Judge' the opportunity to blacken the name of various residents of Farringdon, much to the delight of the rest of the villagers present. 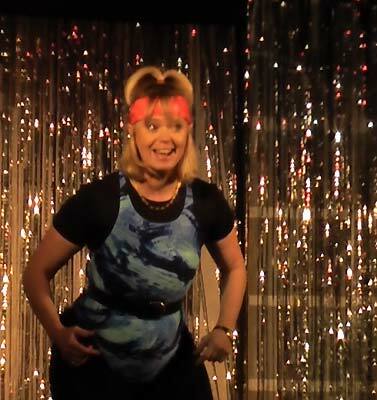 A well padded, somewhat larger than life Debbie Newton, bounced onto the stage in an endeavour to raise the residents of Farringdon to new levels of fitness with an enthusiastic keep fit routine Apparently, if carried to the aerobic level this activity can induce the release of some unpronounceable chemical in the brain, as evidenced by the picture below . 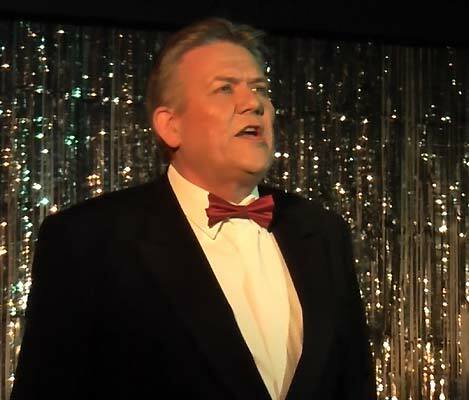 Now it was time for David Scholes to temporarily desert his post as Landlord of the Golden Pheasant and Peter Barber to flex his lungs as the First half was brought to a close with two songs from Les Mis.